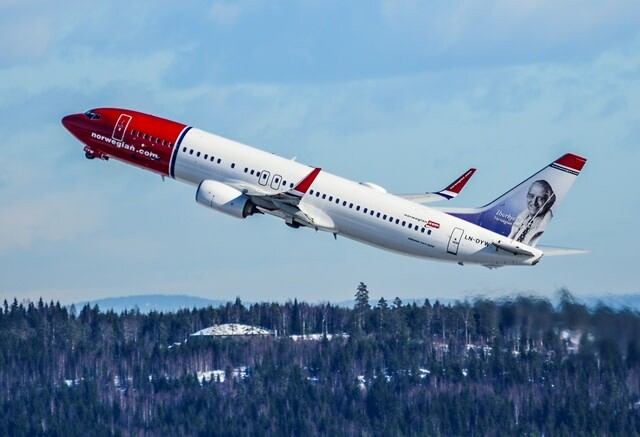 Norwegian reported its highest ever passenger figures in a single year with almost 24 million passengers in 2014, an increase of three million compared to 2013. Since the company’s first flight in 2002, 130 million passengers have travelled with Norwegian. Last year was characterized by high capacity growth and high load factor. The load factor was 81 percent in 2014, up from 78 percent in 2013. In 2014 Norwegian renewed its fleet considerably, launched many new routes – both intercontinentally and within Europe. In addition, the company established new crew bases in the United States and Spain. December 2014 was characterized by capacity increase, increased passenger figures and a solid load factor. Norwegian carried 1,635,596 passengers in December and the load factor was up 3.3 percentage points from the same month in 2013. The capacity growth (ASK) was 12 percent and the traffic growth (RPK) was 17 percent. “Three million more passengers chose to fly with us in 2014 compared with the previous year and the total number of passengers reached 24 million. We have welcomed an increasing number of new customers on board. Not least in new markets outside Scandinavia, many have tried Norwegian for the first time, liked our product and returned on their next journey. This makes us better equipped to meet increasing international competition. England, USA and Spain are examples of markets with large customer volumes where growth boosts future competitiveness, which in turn secures jobs at Norwegian,” said CEO Bjorn Kjos. “It is also gratifying that Norwegian has received a number of important customer awards throughout the year. In December we see an increased desire to travel during Christmas, which contributes positively to the traffic figures. I am particularly pleased that the load factor has increased both in December and for the whole year,” said Kjos. Norwegian operated 99.6 percent of its scheduled flights in December, whereof 75.2 percent departed on time. A comment on Twitter: Norwegian may be flying 24 million passengers, but their Customer Service takes 8-12 weeks, check their own tweets!